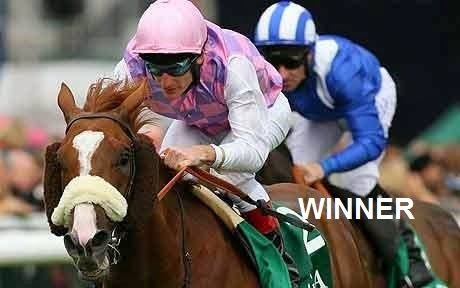 With Frankie Dettori making a return to the saddle it would be no surprise to see him prove victorious on a mount or two. A Maiden Stakes over 6f on standard going. Seven three-year-olds compete in this Class 5 event, consisting a handful of geldings/colt and two fillies. A mix of leading trainers featuring lightly-raced thoroughbreds bar one debutante. Gone With The Wind could go well, trained by Jeremy Noseda. This son of Dutch Art is out of a twice-winning mare costing 115,000gns at the yearling sales. Racing the silks of Mrs Susan Roy, this March foal was relatively fancied on debut when perhaps a somewhat disappointing fifth of ten. This bay colt has been off course for a couple of months and likely to progressed. Noseda has a very good strike rate at this course and I would be expecting a much fitter - streetwise - horse for this second outing. It is unfortunate there are only seven runners, which often puts a dampener on each way bet, being two places. However, this youngster must have fair claims, especially if well backed.